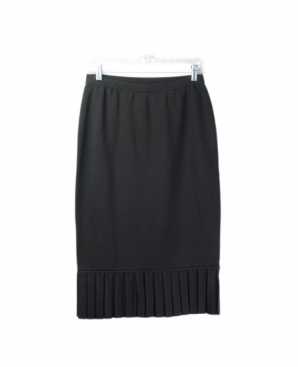 Women's viscose nylon full needle knit skirt w/medium pleats. The skirt matches its knit jackets. 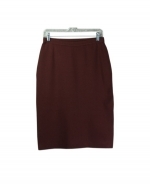 This ladies' viscose nylon knit skirt is a classic, perfect for all occasions. The skirt is 26" long, with pleats at the bottom. 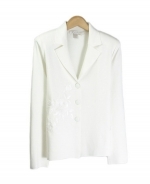 You can easily mix and match this classic piece with various knit sweaters, pullovers, and jackets. There are more knit sweaters and knit jackets in the same category that would make a beautiful set with this skirt. Dry clean, or hand wash in cold water and lay flat to dry. 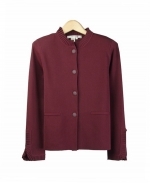 Available in 6 colors: Black, Ruby, Chocolate, Pink Blush, Eggplant, and Tea Green. 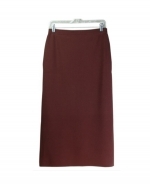 Women's viscose nylon long skirt in full needle Knit. The knit long skirt matches its knit jackets. 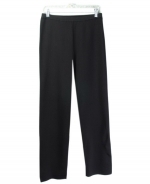 Women's viscose nylon full-needle knit pants. The pull-on pants are tightly knitted w/good draping.